Home > News > News > Attention Groups – Let Us EnterTRAIN You! Attention Groups – Let Us EnterTRAIN You! Is your group looking for a unique outing while in Lancaster County this year? 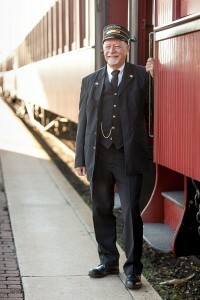 If so, consider lunch aboard a historic train and a critically acclaimed AMT show! Your group can experience a unique “Hobo Lunch” aboard the Strasburg Rail Road’s dining car, followed by a presentation of Music of the Night: The Songs of Andrew Lloyd Webber at AMT. Ready to be “entertrained?” Nicole and Meghan in our Group Sales Department are happy to make all the arrangements for you. Call them today at 800-648-4102 and “get on board.” For more information about this unique package, click here. Want to check out other group opportunities with AMT? Click here!